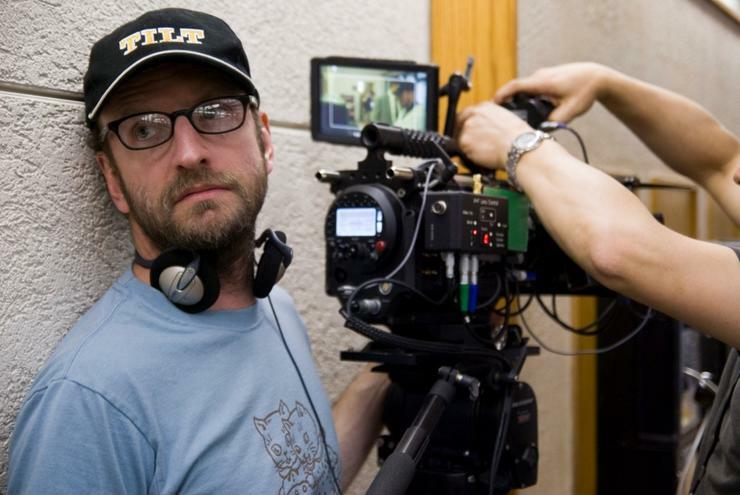 Steven Soderbergh may be about to retire from the business of making movies, but he’s not going quietly into that long goodnight. The filmmaker delivered a 45-minute speech/rant/Hollywood wake-up call over the weekend with his “State of Cinema” speech in San Francisco. It’s a fascinating read – and we’re bummed that it seems as though everyone in attendance honored the filmmaker’s request to not tape it. Whether you agree with every point Soderbergh makes is mostly irrelevant. The core ideas of his speech – the studio system is filled with executives who aren’t good talent and project evaluators, the economics of the industry are out of whack, and remaking successful films is largely pointless – are hard to dispute. We highly recommend reading the speech in its entirety, but here are 10 great quotes if you’re strapped for time. - "There are fewer and fewer executives who are in the business because they love movies. There are fewer and fewer executives that know movies." - "So then there’s the expense of putting a movie out, which is a big problem. Point of entry for a mainstream, wide-release movie: $30 million. That’s where you start. Now you add another 30 for overseas. Now you’ve got to remember, the exhibitors pay half of the gross, so to make that 60 back you need to gross 120. So you don’t even know what your movie is yet, and you’re already looking at 120." - "The other thing that mystifies me is that you would think, in terms of spending, if you have one of these big franchise sequels that you would say oh, we don’t have to spend as much money because is there anyone in the galaxy that doesn’t know Iron Man’s opening on Friday? So you would think, oh, we can stop carpet-bombing with TV commercials. It’s exactly the opposite. They spend more. They spend more. Their attitude is: you know, it’s a sequel, and it’s the third one, and we really want to make sure people really want to go. We want to make sure that opening night number is big so there’s the perception of the movie is that it’s a huge success. There’s that, and if you’ve ever wondered why every poster and every trailer and every TV spot looks exactly the same, it’s because of testing. It’s because anything interesting scores poorly and gets kicked out." - "Now, I’m going to attempt to show how a certain kind of rodent might be smarter than a studio when it comes to picking projects. If you give a certain kind of rodent the option of hitting two buttons, and one of the buttons, when you touch it, dispenses food 40% of the time, and one of the buttons when you touch it dispenses food 60% percent of the time, this certain kind of rodent very quickly figures out never to touch the 40% button ever again. So when a studio is attempting to determine on a project-by-project basis what will work, instead of backing a talented filmmaker over the long haul, they’re actually increasing their chances of choosing wrong." - "I think if I were going to run a studio I’d just be gathering the best filmmakers I could find and sort of let them do their thing within certain economic parameters… Now, that only works if you are very, very good at identifying talent. Real talent, the kind of talent that sustains. And you can’t be judging strictly on commercial performance, or hype, or hipness, but I don’t think it’s unreasonable to expect someone running a multibillion dollar business to be able to identify talent." - "Psychologically, it’s more comforting to spend $60 million promoting a movie that costs 100, than it does to spend $60 million for a movie that costs 10." - "They get simple things wrong sometimes, like remakes. I mean, why are you always remaking the famous movies? Why aren’t you looking back into your catalog and finding some sort of programmer that was made 50 years ago that has a really good idea in it, that if you put some fresh talent on it, it could be really great. Of course, in order to do that you need to have someone at the studio that actually knows those movies." - "The sort of executive ecosystem is distorted, because executives don’t get punished for making bombs the way that filmmakers do, and the result is there’s no turnover of new ideas, there’s no new ideas about how to approach the business or how to deal with talent or material." - "I mean, I’m wrong a lot. I’m wrong so much, it doesn’t even raise my blood pressure anymore. Maybe everything is just fine. But… admissions, this is the number of bodies that go through the turnstile, 10 years ago: 1.52 billion. Last year: 1.36 billion. That’s a 10-and-a-half percent drop. Why are admissions dropping? Nobody knows, not even Nate Silver." - "Theft is a big problem. I know this is a really controversial subject, but for people who think everything on the Internet should just be totally free all I can say is, good luck. When you try to have a life and raise a family living off something you create…"